The man who gave Donald Trump his first major political endorsement in the 2016 election is now being vetted for the position of vice president. Trump campaign officials are examining New Jersey Governor Chris Christie, according to sources cited by the New York Times. The vetting process of the governor started after he was appointed to lead Trump’s transition team to the general election. As leader of the transition team, Christie has stayed out of the media spotlight and tried, with modest success, to convince reluctant Republican governors and donors to back the presumptive nominee through personal phone calls and fund-raising events. To further help with the transition process, he brought along with him his former top aide in Trenton, Richard H. Bagger. Christie was also one of the leading voices urging Trump to let go of his now-former controversial campaign manager Corey Lewandowski, marking a turning point in the Trump campaign as it shifted into the general election. Christie, who once scorned Trump on the debate stage, shocked the political world when he endorsed the presumptive Republican nominee in February, following a CNN debate that was considered damaging to Trump. Since then, he has stood by Trump and defended him. Instead of condemning the presumptive Republican nominee, Christie cited personal experience and his longtime friendship with the real estate mogul. “People are always gonna express their opinions. 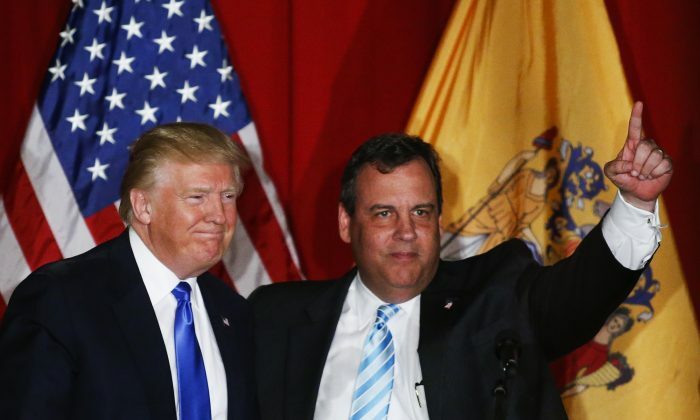 Those are Donald’s opinions and he has the right to express them… I know Donald Trump, I’ve known him for 14 years and Donald Trump is not a racist,” Christie told reporters at the time. A former candidate in the 2016 election, Christie was known for his tough, straight talk and combative debate style—a style that got overshadowed by Trump’s campaign during the Republican primaries. His endorsement and defense of Trump is seen as a political gamble. In Christie’s future political endeavors, it’s likely that he wouldn’t be associated with the mainstream Republican party, but seen as a surrogate of Donald Trump’s movement.